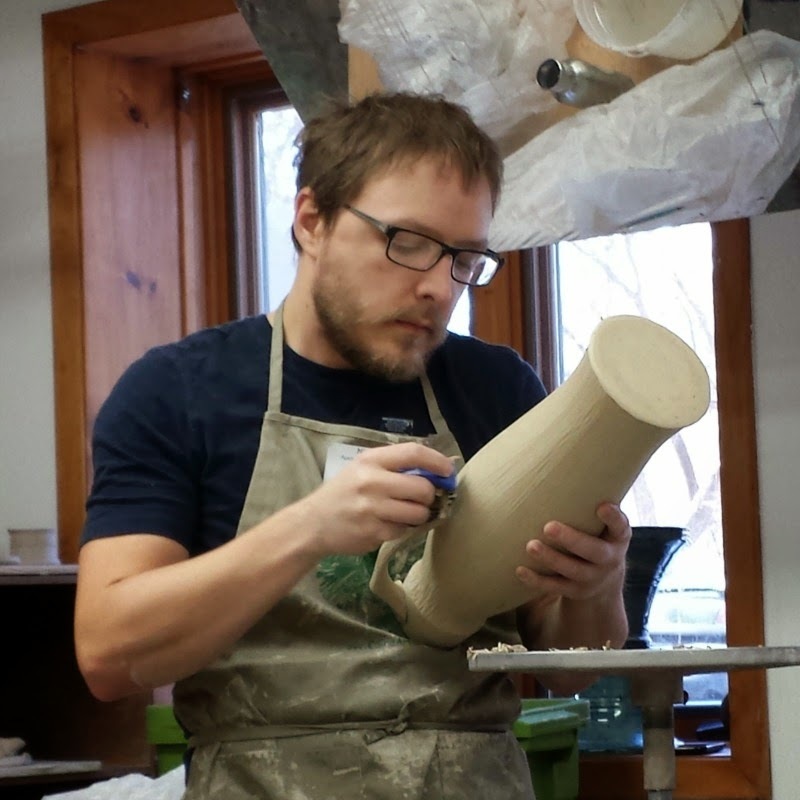 Last weekend I attended a Fundamentals of Design in Clay workshop lead by Nick DeVries at the Edina Art Center. It was a great time and very educational. 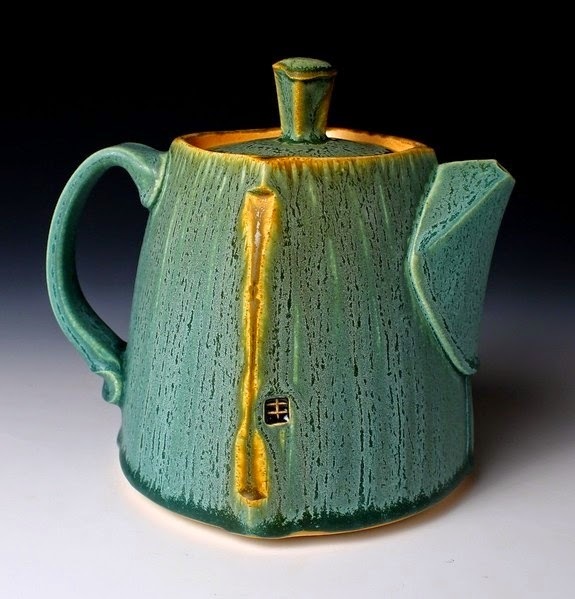 Edina Art Center has a wonderful facility and always puts on equally wonderful special events. Principles and elements of design as they relate to creating works in clay were the primary lessons of the workshop and the concepts were made clear while watching Nick demonstrate his very unique processes. Most of Nick’s work is thrown rather thick and his shapes refined by the use of a rasp. Using this process, he often makes squared shapes out of round and uses the subtle texture left by the rasp to give his pieces a great textural feel. 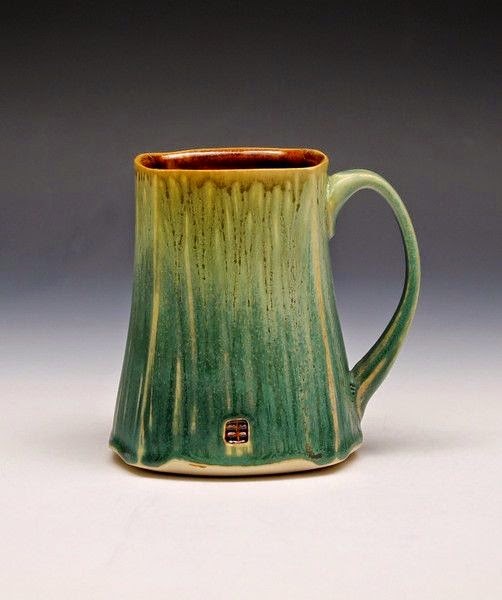 Nick’s additional stamped and carved design elements along with his gorgeous matte oxidation glazes finish the pieces off perfectly. I look forward to keeping the principles and elements of design in my mind always as I create work and over the next couple weeks hope I can try out a few of his decoration techniques to see if there is anything I can adapt to my work as well. It’s always so fun to learn new techniques and consider how they can change things you may already do. If nothing else, it will be good to get the rust off my Mudtools small shredder. You can find more of Nick’s work HERE.